After a drawn first leg both teams went into this game with a decent chance of advancing to the final. The Warriors kept the same starting eleven from the first game whilst East Fife made two changes with Liam Smith and Derek Riordan coming for Sean Dickson and Jordan Leyden. The first game was a tight affair with little between the clubs after the home side had taken an early lead only to be pegged back by an equaliser later in the game. This pattern of affairs repeated itself with the home team, this time Stenhousemuir taking the lead after only two minutes before East Fife drew level with only three minutes of the game left, so it was perhaps inevitable that the game would go to extra time before the tie was decided. 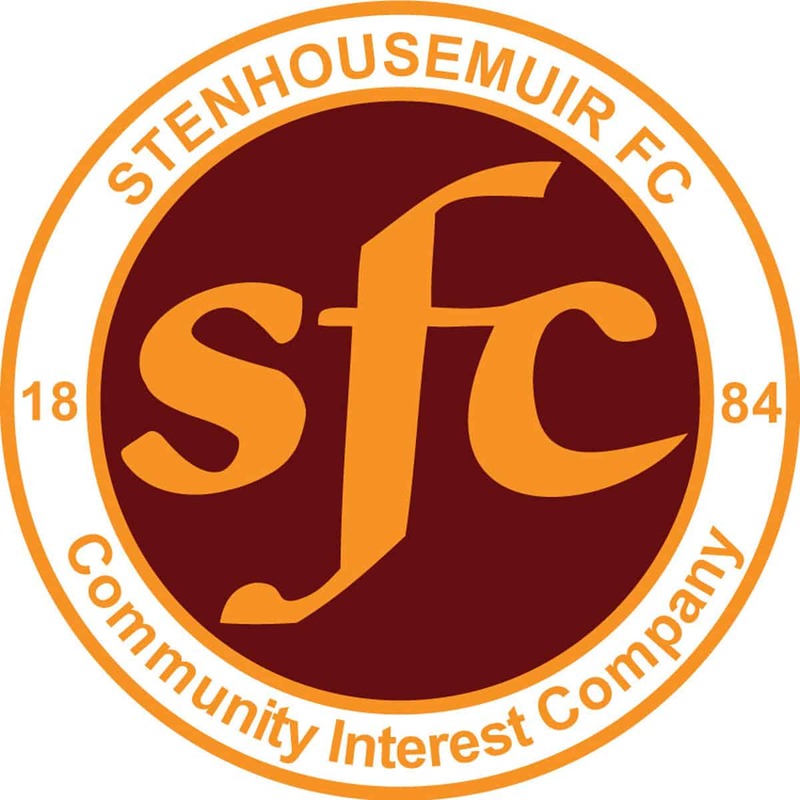 As stated earlier Stenhousemuir got off to the perfect start with Kieran Millar volleying a Ciaran Summers cross home in the second minute. After that early setback though the Fifers were the more threatening. Derek Riordan’s corners were causing problems and Greg Fleming did well to punch them clear. The best chance though fell to Nathan Austin in 17 minutes but his shot was beaten out by the keeper. At the other end Paul McMullan was enjoying more freedom than in the first leg and he saw an effort cleared for a corner by Fraser Mullen. There was a real opportunity when the ball was given away and Jamie McCormack was exposed but Riordan failed to make the most of this chance and eventually the ball was cleared to the relief of the home support. Stenhousemuir started the second half brightly and in the 48th minute Ross McMillan headed a Josh Watt free-kick over the bar. The captain was almost a hero on that occasion but he was almost the villain three minutes later when he lost possession to Allan Walker who was denied by the legs of Fleming before the rebound fell to Austin whose attempt was blocked. At the other end Jamie McCormack headed a McMullan cross over the bar after making a timely run into the danger area. Riordan saw a snapshot saved before Dickson who had just came on had a powerful drive beaten out by Fleming as the Fifers strived to get back on level terms. Alan Cook then had a strike parried out before Ross Brown hit the side net from only six yards out. Stenhousemuir were defending resolutely though as East Fife threw caution to the wind and they eventually got their reward with four minutes to go. Jonathan Page heading the ball into the net from close range to send the Methilites into rapture. Memories of games when leads have been thrown away came flooding back but this time Stenhousemuir held firm and probably should have won the game in normal time as McMullan should have scored when one on one with the keeper after being picked out by Millar but his effort was saved by Allan Fleming and then there were strong claims for a penalty when he was brought down in the box but claims were waived away. Extra time started with a decent chance for East Fife but Austin’s diving header went wide before the play was transferred to the other end with McCormack and Kris Faulds combining before McCormack tucked the ball away from close range in the 94th minute. With four minutes to go Craig Sutherland with almost his first touch rifled a shot into the net after being picked out by Brian Hodge. That effectively put the result beyond doubt though there was a scare when McMillan miscued a clearance that almost went in his own net. The final whistle blew with Stenhousemuir victorious but they still have plenty to do to keep their place in the league as they now have a double header against Queens Park to see who will be in League One next season. Both teams will have to call on their reserves of energy after being taken to extra time in the semi-finals for the games that start on Wednesday at Hampden Park. Stenhousemuir – Fleming, McCormack, Summers, Lithgow, McMillan, Meechan, McMullan [Sutherland 116], Hodge, McMenamin [Faulds 84], K.Millar and Watt [Marenghi 70][b100]. Subs not used – Shaw, Duncan, Moutinho and Grehan. East Fife – Fleming, Mullen [b81][Adeyemo 82], S.Smith [Cook 62[, Walker, Brown, K.Smith, Austin, Riordan, L.Smith [Dickson 73], Etxabeguren and Page. Subs not used – Millar, Campbell, Leyden and Naysmith.